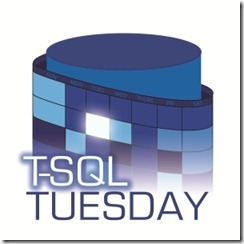 I can’t believe it, I am finally joining the T-SQL Tuesday blog post party started by Adam Machanic (b|t). This month Andy Yun is our TSQL2sDay #84 host who has selected the subject of “Growing New Speakers”. Specifically, to talk about preparing, presenting, and speaking at local user groups, virtual PASS chapter, SQL Saturdays and/or the PASS Summit. As a Microsoft Certified Trainer(MCT), this topic really hits home. For over 15 years, I have been teaching Microsoft Official Courses on Windows Server, Exchange Server, and most commonly SQL Server. My favorite class to teach is the Transact-SQL course, because it is normally people who are just learning how to write T-SQL or students who have taught themselves and are looking for a more formal education. And let me tell you, the best part of my job is seeing the light bulbs show up in a student’s eyes. It is absolutely the best feeling to help other people. Now I have three secrets for you. And that brings me to my first tip, you do not have to be an expert on a topic to get started in presenting. You do want to start with a topic that you have some knowledge, but you don’t have to know everything about that topic. Even the most experienced speakers get stumped with questions. It happens. So don’t let that stop your from starting. And if you do get stumped, just say, “That’s a great question. Let me find out for you after the session.” That keeps the session moving along and also hides the fact you have no clue what that person just asked. But most importantly, remember you don’t have to know everything to get started speaking at events. My second tip, don’t worry if someone covers the same topic. 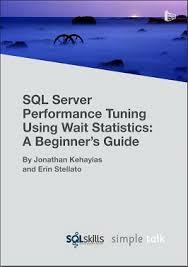 For example, both myself and the previously mentioned Andy Yun have a SQL Saturday session on Working with Data Types. If you were to watch each of our sessions back to back, you would see that they are completely two different takes, two different deliveries, and two different personalities speaking on a very similar topic. I guarantee you will learn something in either session. The same will hold true for yourself. Pick a topic that feels right for you and put your own style on it. I will never know everything and your viewpoint might explain a topic that has always confused me. My final tip, is to have a passion for learning. I have often been quoted as saying, “The best way of learning a topic is to teach it to someone else.” And that is absolutely true. To really understand a topic well enough to teach, you will find yourself focusing on how to explain it to someone else. Which leads to even more learning on that topic and once that cycle starts you will never stop learning. The more you teach, the more you will learn. Finally, if you need help with a presentation or would just like me to review your session, please let me know. Be the first to comment on "Speaking about SQL"